Following rampant speculation, it is now official: the new Xbox, codenamed Durango, is set to be revealed Tuesday, May 21st. As announced on Major Nelson's Blog, the upcoming console will be formally unveiled at the Xbox Campus in Redmond at a special press event, which will also be livesteamed on Xbox.com, as well as Xbox Live and Spike TV. Follow me on Twitter where I’ll share updates leading up to the event. 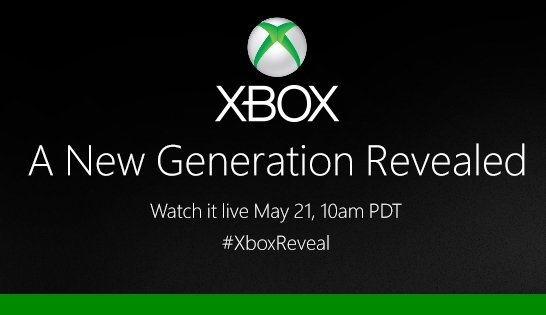 Stay tuned to GameSplash for all of the latest developments on the new Xbox as they happen! Step up against Mother Nature and defend a primitive tribe against the elements as they search for the knowledge of the ancients. Spanning huge maps filled with volcanoes, tsunamis, wildfires and torrential downpours, From Dust is a beautiful real-time nature simulator. Centered on a primitive tribe's quest to reunite with the ancients it is your job to keep them safe. In each level, players must locate the totems left behind by the ancients, rebuild and repopulate, safeguard them against the elements (by sending villagers to learn the knowledge stones) and then get to the passage way. Subtitles translate the information the Shaman is giving you at the beginning of each level, and from there you're on your own to decide how to solve the problems in a virtually limitless number of ways. The tutorial levels are very basic, but provide the fundamentals you need to know for the rest of the game. The controls are amazingly easy; with the joysticks acting as movement and camera as we've come to expect, the triggers are used to pick up and drop whatever is grabbed, 'A' calls the villagers to a totem, stone of knowledge, or other points of interest; additionally, it allows the relocation of a populated totem and the d-pad controls the powers you earn. 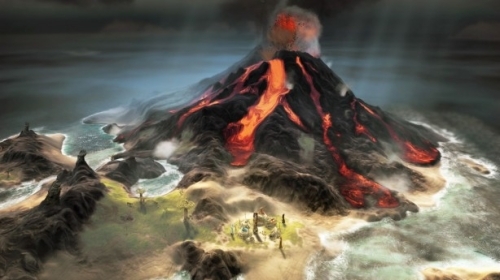 Players control the so-called "Breath" of the tribe and have the ability to pick up and relocate elements such as earth, water and lava. Each totem on the map will earns a different power, but you won't be earning the same powers every time; gelify water, put of fires, evaporate water, amplify your powers, have infinite amounts of dirt to release or just swallow everything in your path without having to drop it back down anywhere. While you have some God-like powers you are not God, your powers are limited not only in the amount of time you have to use them but by the amount of any one thing you can handle at once and can be taken away if the village at the totem where you earned the power was destroyed. Recently rumors have been buzzing around the net about a so called, Revival Selection for Capcom's notorious franchise, Resident Evil. What was just a rumor, is now absolute fact. The Revival Selection consists of two separate titles, Resident Evil 4 and Resident Evil: Code Veronica X. Capcom will be releasing this content on a disc over in Japan, while over here in the states, we will be receiving it via Xbox Live and PSN sometime this Fall. 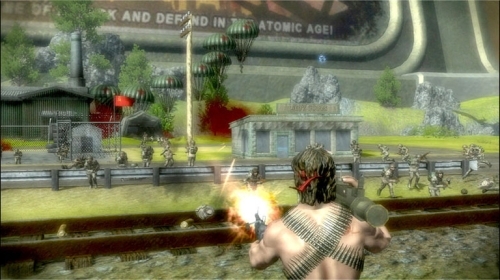 Both titles come packed with HD upgraded visuals and trophy/achievement support. Resident Evil 4 is said to include all bonus content from all previous releases as well as "Separate Ways", the Ada Wong side missions, while Resident Evil:Code Veronica X, is to be just as inclusive of bonus material. No pricing information has been confirmed, but as more info comes down the wire, we'll be sure to keep you up to date.